Stocking stuffers are a must have for the holiday season but most importantly, what kind? Every year I like to load up my daughter's stocking with fun trinkets and event a little bit of makeup. She is 8 this year, so its time we start getting a into the fun and glittery products! 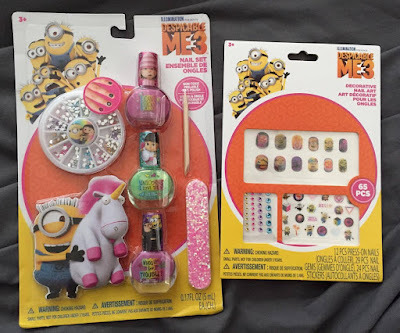 Thank goodness TownleyGirl is here to save me with their Despicable Me 3 line of Lip Glosses and Nail Accessories! Allyson has had so much fun playing with the glosses and doing her nails. The flavors and colors available are perfect for her eight year old little heart. Plus, took at these cute cases for the lip balms to be stored in. They're great to carry around, even in their school bag. No risk of losing that lip balm forever when its in it's case. Now, I can make sure Ally keeps them in the case. Any tips there? HA! We had a few girls over to test out the nail polish and accessories. Those girls loved that they could choose the color and put a star on at the end. Each girl was able to show their personality! We all know girls at this age are starting to figure out who they are and what they want. This kit was perfect! 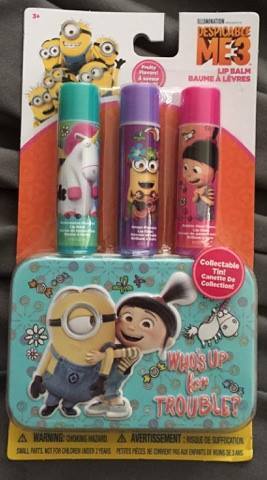 Allyson's favorite item in this review ended up being the lip balms that look like minions in the video below! Each one has a different flavor and color. They do not have a taste but go on smooth! Christmas is right around the corner! Sliding some TownleyGirl in your children's stocking is a great way to keep those smiles rolling on Christmas morning.